In this hands-on summer course we will focus on the elements of table construction and design. 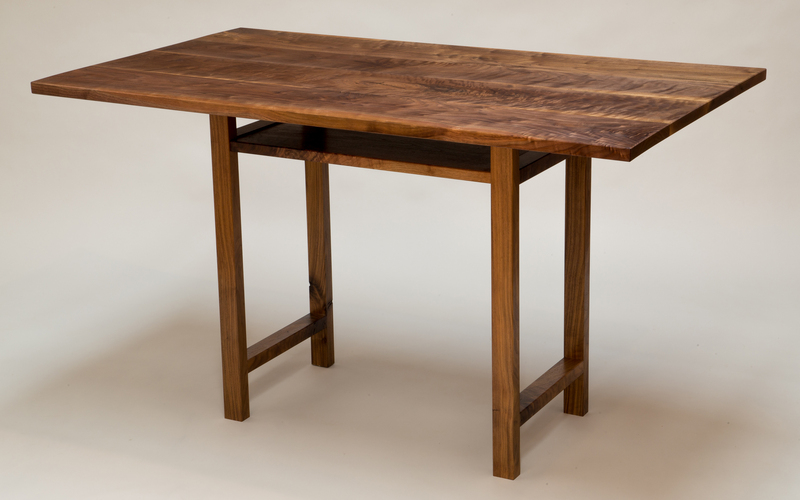 The goal is to introduce the basics of table making with an emphasis on techniques and joinery while exploring form and function. Students will be given a series of lectures and demonstrations accompanied with exercises that develop their ability to design and build a well constructed table using solid wood. With each lecture & demonstration students will learn about different types of joinery and how that joinery can be used to create a structurally sound and functioning parts of a table. Not only will we explore joinery and construction, the class will cover different shapes and designs of legs, aprons, rails and table tops. This class focuses on the use of both hand tools and machines. Each student will design a table, while focusing on the construction and function of their piece. The approach will be to build on a series of demonstrations and exercises in the first half of the class and then use the techniques learned to design and build a functional table. We will examine useful techniques to make table parts, explore wood movement, shapes and decorations, take a field trip to the MFA, and culminate with a review of the tables by visiting furniture makers.